After more than two months of waiting, the latest flagship device of CellPrime's mobile arm is now finally official, boasting great specs at an attractive price point, meet the CloudFone Next. 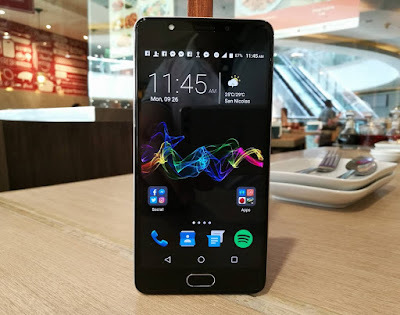 The CloudFone Next boast a 5.2-inch Full HD display with IPS and OGS technology topped with Corning Gorilla Glass 4 for protection and housed in a metal casing. On the inside, it is powered by Qualcomm Snapdragon 430 SoC, which packs 8 64-bit Cortex-A53 CPU cores and Andreno 505 as its graphics processing unit. As a comparison, this is the same chipset found on the ASUS ZenFone 2 Laser ZC551KL. In terms of RAM, it has 4GB of volatile memory, making it one of the few local brands that have it on their phone. Meanwhile, the on board storage is capped at 32GB, but there is a dedicated slot for expansion using a micro SD card of up to 128GB. Photography enthusiasts will be glad with its 16MP f/2.0 Samsung-made main camera with phase detection auto focus and accompanied by an LED flash, as well as on its 8MP f/2.4, also Samsung-made selfie-centric front camera with LED flash. Other noted specs are dual SIM with LTE connectivity, fingerprint sensor embedded on the home button, 3000mAh battery with Quick Charge 3.0 and runs on Android Marshmallow. It will be available in stores in the upcoming days for Php9,999.